Erde supply handlebar straps for use with their motorcycle trailers. 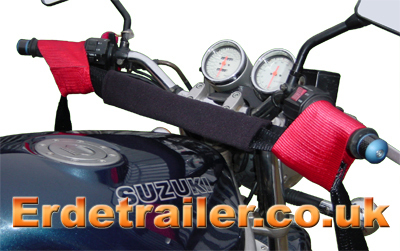 Made from high quality material these straps are essential when transporting a motorcycle. hooked ends to firmly secure the bike to your trailer.